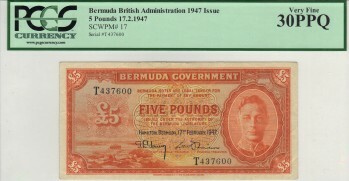 Five pounds was the highest denomination issued in Bermuda prior to 1964. 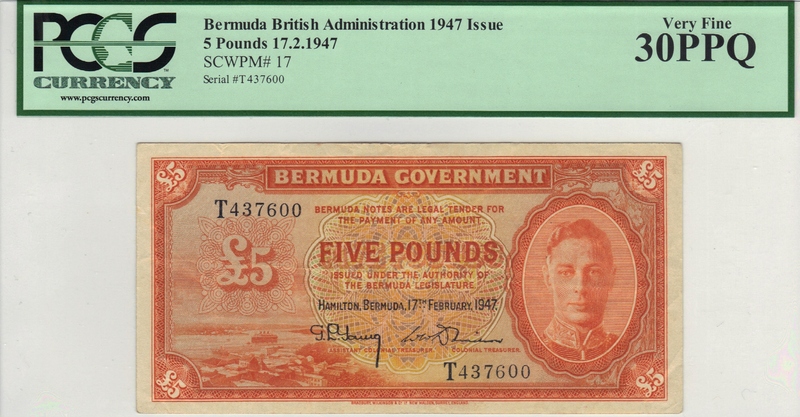 This particular example dates to 1947 and has a portrait of King George VI. 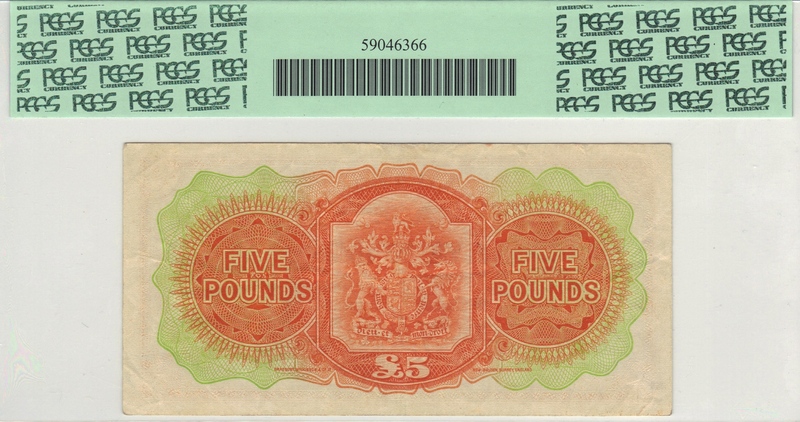 And don't let the fact this is from post-WWII fool you into thinking that this is a common note; that is not the case. Finding a nice example when you want one can be difficult. 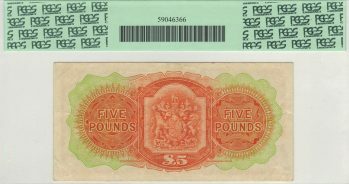 This note obviously saw a little bit of time in circulation. However, it retains all of the crispness and colors that you would expect in a much higher grade. This should be on some want lists.